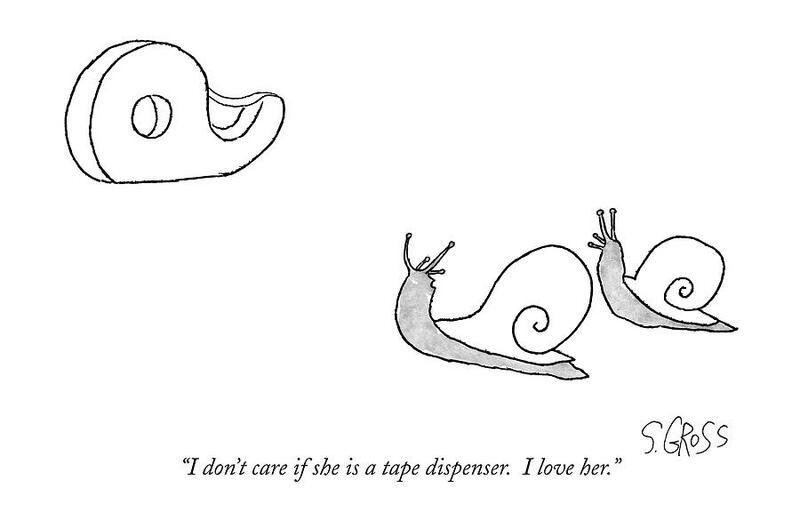 Caption: "I don't care if she is a tape dispenser. I love her." 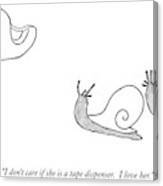 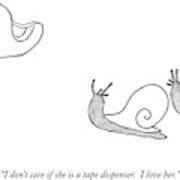 Description: One snail to another about a nearby tape dispenser.